MultiView is a digital publishing solutions for associations and digital marketing solutions for B2B marketers that connects the B2B world. Our relationship with Multiview has been very positive since we began partnering with them over 5 years ago. They are responsive to our needs and are proactive in educating us about best practices and new products they are offering. It's been a win-win! There is nothing we don't like about working with Multview! If you have limited resources and need a strong support system, Multiview can help you out! Since working with Multiview, we have been able to extend our reach to individuals in the specialty field we are targeting. We have received such positive feedback about the weekly brief that is published. With limited staffing, Multiview has taken the job of online ad sales on as this is something we had talked about doing for several years but didn't have the internal support to initiate and sustain. "Amazing Targeted Campaign for a specific university program"
I love that Multiview has provided me with a top notch campaign that I do not have to be very involved with. I wanted a campaign that could outsource the bulk of my marketing work and Multiview has gone above and beyond. I am especially thrilled with my Multiview team, Lauren Kubena and Austin Smith. They keep me on track and provide superb customer service. When I initially started working at my university, I tried a number of smaller campaigns (disbursed throughout many companies). Out of those many campaigns, Lauren was the only person to connect with me after the campaign was over to see if I was satisfied and to provide alternative options for more productive campaigns. She is the reason Multiview became my only campaign. I am very happy with my campaign and Multiview as a whole. If anything, I wish my log-in credentials were specific to me and my program. They are through the admin assistant of my university's Office of Marketing and Communication. MultiView is an asset to my program and I highly recommend it. Outsourcing our marketing has been such a relief of workload on my end. My program received a record number of applications this year and I love the monthly reports that I access and share with my team. What Other Marketing Services solution do you use? "MultiView - a Strategic Advertising Partner"
I like the personal attention that our online Continuing Education company - CEU By Net - receives from MultiView's Chad Richart, in terms of identifying good targets for our advertising projects in the mental health and addiction education field. Chad clearly understands our company and the customers we serve - specific mental health and addiction licenses, areas of practice and programming, states, etc.. He always alerts us when new opportunities arise which match our various marketing criteria. He also understands what things we want to avoid, and doesn't take up our time by proposing things that he has learned are not on our priority list. Over 10,000 continuing education courses were purchased and taken on the CEU By Net website in the past year. The advertising that MultiView has done for us at a very affordable price is a significant part of that success. We also love love love the art department! The fact that MultiView's art department will do the work for free, for which we have had to pay in the past, is awesome. There was a brief time in the past in which we were not so happy with a particular art director, but that didn't last long, and we are delighted with the work that has been done for us in the past couple of years. In our last project, I sent a very complicated advertising banner to MultiView that we had used with a different vendor, and I said I would love it if you could do this and this with it, but change this and that and how this gif functions, etc., etc.. And they did it! It was/is beautiful, and is bringing us good business this year. Obviously, we are not interested in the more expensive advertising projects that few companies our size could afford - and we think that frankly, some of the online newsletter advertising prices have gotten out of hand. But Chad has learned this, and he proposes only the affordable projects which are within our budget, which match our target criteria and result in good returns. Develop a working relationship with one person at MultiView. You may occasionally receive calls from other MultiView employees who work in a different location, offering to connect you with a given online ad campaign, but stay with the MultiView representative whom you know, who knows and understands your company. This person become your advocate, and is always looking over new opportunities with an eye to your company's interests. Online Continuing Education is now highly competitive. Whereas there were once 2 or 3 CE Providers who had good visibility in the national market, there are now several. We have to compete with companies who have bigger budgets than we do, but we are doing quite well. Our targeted campaigns with MultiView have always been helpful to bring us visibility with a given segment of the market. "Partnership for a Good Product"
One-on-one working experience with my content manager. We're a team, working together to produce a great product for my members. I've worked, for the most part, with the same person over the past two years, which means she knows my needs and understands my communication goals. That goes a long way towards moderating my blood pressure and producing a consistently high-level product. I'm pretty invested in getting our distributions "right," which means I always have feedback/edits on every draft (I'm sure my content manager cringes when my response emails come in). Much of the time, I'm editing my own work - rewriting a blurb or considering a better organization for my content - but it results in a slow process of typing out lists of changes and edits. I try to be very clear, so that there doesn't have to be unnecessary back and forth in producing the final draft, but that makes it laborious. Managing subscription lists is also a bear, it seems every week I'm dealing with a member who's not getting the newsletter and it can take forever to untangle what's going wrong. If you choose to go with multiview, be proactive. They provide a great infrastructure to serve your needs, but it's only as valuable as the investment you put into it. Simplifying advertising management has been very valuable, since I don't have the bandwidth on staff to oversee and ad sales program. Creating a consistent product is valuable, and relying on Multiview's technical acumen to manage both the sales and distribution logistics is helpful. "A Partner in Advertising Campaigns"
They are a partner that gives you leverage. The sales team manages the campaign/source. Their creative services take care of the details. We just did a 13 week campaign. We made changes each week. Creative was on top of it each work. Quick and easy turnarounds. Sales did the reporting - every week. I really don't dislike anything. As always, I wish that my campaign did better. The interesting part is that working collaboratively, over 13 weeks we got each weeks results to improve 300%. Really leverage them for information and for creative. Put pressure on them to help you do better. They know their advertising sources and best practices. I am driving business. We use them for advertising in e-newsletters. In addition to the advertising, the creative services are a big plus. They take care of the creative, so we don't need to outsource. And, they already know how to do creative for the newsletter. And, our sales rep knows what works. So, all together it offers us a good solution. "Alan Zickefoose: Account Sales Extraordinaire!" Alan and the sales team are AMAZING. I have had issues with other vendors not providing accurate numbers for impressions, but Alan and MultiView have always taken great care with providing realistic and honest numbers while striving to ensure I was aware of additional options and partnerships. Having worked with them from both agency and client-side perspectives, they are consistently my go-to for all things digital. My only drawback is with the portal. Initially, it was not set up to show both behavioral and persona impressions, therefore it only showed half of the picture. This is about to become a non-issue though as they have taken all of their client feedback and worked to integrate that in for a new 360 view. They take the time a lot of others do not to learn about your company to make recommendations. They ask the important questions about your current SEO, SEM and Social engagement to help ensure they can tailor your campaign to fit your brand perfectly. Additionally, if your company does not have a design staff, their creative team is excellent at taking and making suggestions, working within your brand guidelines, and producing high-quality images for your campaign. This is important as it can save a lot of time and added outside costs. In my switch from agency to client side, I was faced with a shift from B-to-B, to a more B-to-C need for a digital ad campaign. Additionally, the new company I began with had very little understanding of the need for a shift into the digital realm. With their partnership with Google, and their partnerships with many associations (building materials), this allowed us a greater avenue of exposure that I could capitalize on for additional leads etc. I love the responsiveness of my Digital Marketing Consultant, Jen King. She is great, and goes absolutely above and beyond to help me and the small company I work for. She is attentive and has assembled an awesome team to work with me, including Mari Walker, Joshua Klumper, and Carly Rupp. There is nothing that I can say I dislike about Multiview. I know that everyone has different experiences, people didn't like the amount of sales calls, but I would just tell people to email me the information and I will review with my account manager, Jen King and that was it. No more calls. So for me, I was good. Get to know your digital consultant, ask questions and become friends - they will always look out for you. Multiview and Jen King have helped my company which is 75 years old get brand recognition. She has helped us A/B test and has recommended many great products. We have had to compromise, we do not have an unlimited budget, and they understand so I never felt pressured to buy a product I didn't understand or did not want. "Multiview is easy to work with and quick to respond." Our account manager is awesome. Nick is quick to respond and always very pleasant. We update our campaign almost every week. Nick sends us back a proof within only a few hours and we have never had any issues. Nick is a great representative for Multiview. The only thing I did not like is that we used to receive several advertising solicitation calls from several different people. However, with their new policy that started during the middle of the year, we only have one account manager for all aspects of Multiview and no longer receive multiple phone calls. With the weekly campaign that we are doing, Multiview has stepped in to be the middle man. It's very easy to have them take care of the details and we can just simply submit updated material. They make my day easier. "Professional Results, Friendly Reliable Reps"
They switched to allowing us to use one rep across all associations. It has really cut down on umpteen million sales calls and reduced my stress in juggling all the accounts. They are responsive and uber friendly to work with. Always looking to improve on even the campaigns that are outshining industry standards. I disliked having several account reps but they have taken care of that problem so as of right now I've got nothing bad to say. They are on it and keep up to date with current trends in online advertising. Juggling multiple accounts and keeping it all straight. My account rep - April D - is amazing and SO SO helpful. She has figured out how I tick and what I need to keep everything straight when it comes to our online advertising needs. She's a rockstar! Our non-profit association has been connected with Multiview for about 4 years. We have been very pleased with our relationship and the ability to earn 'non-dues' revenue for our association. The banner ads on our website have been well vetted. And our weekly newsletter has been an outstanding addition to our member benefits package. The content that is provided by our Multiview editor, Hailey Golden has been on target and very useful and timely for our members. We are able to provide content to our members through the work of the Multiview team as well as services and benefits because of the revenue that this relationship has generated. They did generate leads. Sometimes. And the website was slick-looking. Plus, their sales team (there was no customer service) Joseph and Igor were willing to help as much as they could, including taking time out of their extremely busy days to assist us. Additionally, Joseph really worked hard when we were on the phone to put us in touch with the tech support folks who he thought could actually fix our issues. We found the company to be quite unprofessional, and in fact have come to g2crowd searching for a replacement. Trying to get someone to call us back was quite literally impossible - not once did I receive a call or email reply from them - though when we called them they in fact always answered the phone. We never knew what would break next, and once our data went missing for an entire week. They didn't offer an explanation much less reimbursement. When a SaaS company cannot offer the Software, what are we paying for? The nature of our business requires us to follow up on leads within two days max, since our customers have a short purchase cycle, so this literally represented a loss of ROI. We documented over 20 anomalies in the data, including receiving conflicting lists for the same day's visitors to our site and missing information (such as visitors' previous visits). There are still days for which we never did receive data. "Great customer service from both sales and content provider personnel for our association, AFFI." The American Frozen Food Institute uses MultiView to distribute daily news stories to our membership. The articles selected are relevant to our industry and always delivered to us in a prompt manner. Our contact for sales is great to work with and has quickly solved any issues we have had. We would recommend MultiView to other organizations for daily news briefs. We had an issue with one sales representative but that was quickly resolved by our MultiView manager. AFFI recommends MultiView for those organizations needing to provide timely relevant news information to their clients. We want to be the provider of relevant actionable information to our members. Our daily brief helps us do that. "First time working on this project and needed direction which was quick, curteous, and enthusiastic"
I had no issues in dealing with MultiView, so there was nothing that I can say I disliked. Do not be afraid to ask questions, this company has proven to be quite reliable in terms of service. Although I have only worked on these 2 projects, my company has had an ongoing working relationship with MultiView and only have positive experiences with them. "Multiview Drives Quality Traffic to our Site"
The MultiView behavior algorithm send quality traffic to our site every day. The monthly review calls are very helpful and the staff is always open to working with us & resolving any issues or concerns. We are so pleased with our first year of the MultiView program that our contract for the second year has grown to the next impression level. Their design team also does a great job on creating our ads. Unfortunately the MultiView program does not provide contact information for the person visiting our site. And when asked about how other clients use the company info they didn't have as much insight on that as we would have liked. Our company was leery of a remarketing program because we did not want to be a nuisance. With the behavioral algorithm that MultiView has developed we know that a prospect is interested in our type of product when the ad is served. And we have seen quality visitors come to our site and be well engaged e.g. visiting numerous pages and staying on our site for an extended period of time. We highly recommend the MultiView program. Driving qualified traffic to our website was the problem. We have a significant spend in Google Adwords but the engagement level is low. With MultiView and their behavior algorithm we have seen, and continue to see, strong engagement by a majority of the website visitors who come to us. Their time on site is indicative of their interest in our products & services. The articles are current and beneficial to our profession. The advertisements are informational and provides up to date products and services to our members. The Senior Content Editor is easy to work with and very professional. They are always willing to modify the newsletter to your specific needs and never publishes without approval. There is nothing that I dislike about MultiView. It has been an awesome experience to work with these professionals. Don't hesitate. It is a win win situation. By using MultiView, our organization has been able to disseminate information and quality articles that are beneficial to our profession. Patrick Harvot is an excellent manager to work with. He provides excellent service ina timely mannor. He is very supportive to us and is very knowledgable in the industry. He has helped us grow our company and does it with a smile, even when we drive him crazy. I have nothing that I dislike about them except I don't see them enough. I highly recommend them, they are great. All departments work together so you never feel disconnected. We are increasing our market value and social media. He has helped us grow already and always introduces us to new tools. Multiview does all the heavy lifting in the partnership, helping you reach your membership, and connect your members with each other. Their professional teams are skilled in sales, marketing, and editorial content development, and have been successful in driving non-dues revenue for our association. 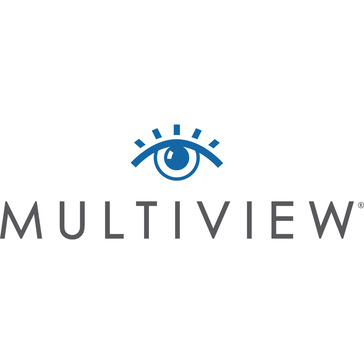 Working with Multiview as a partner for 6+ years has been rewarding. Multiview is constantly introducing new platforms to increase exposure and revenue for their partners. Multiview has been leading our charge for B2B opportunities for our membership and creating a reliable non-dues revenue stream for our association. That gmail still doesn't allow my newsletter to be viewed properly. I wanted to provide my subscribers with industry news from all parts of the globe. With Multiview I am able to do just that. I have realized that my editor, Jessica, is an extension of myself. I have figuratively duplicated myself, allowing for my workload to increase. "Multiview has significant improved site traffic and lead generation"
Multiview has worked with us extensively to help create, implement, analyze and adjust our online display ads in such a way as to insure continuous improvement of performance since we began working with them. To be honest, I don't have any substantial complaints about Multiview's offering or staff. In our efforts to increase brand awareness, site traffic and increase lead generation capabilities, we've seen improvements because of Multiview. Brand recognition has increased substantially, with people frequently calling and saying "hey, I saw your ad" on so-and-so website. "MultiView publishes our association's bi-weekly eNewsletter"
Jessica's business knowledge and access to contemporary emergency medicine issues is a amazing. Nothing...I wish all my partners were this efficient and easy to work with. If you have a responsibility to communication your activities and efforts to a specific audience, call me for a recommendation to use MultiView. the thoroughly professional and knowledgeable sales rep I deal with. He always tries to find ways to make the campaigns easy to understand and work with and even suggests ways to tweak a particular campaign to make it work even better for my company's advertising needs. sometimes i get calls from other reps who are not my rep and i prefer to deal only with 1 person. "MultiView is a MultiWIN for clients!!" Kerry Breen and team has been great to work with. I knew it was a good match in my beginning conversations with Kerry and his solution selling approach. With him leading the charge, Caleb on the social media and content generation and Leah on the retargeting campaign, I couldn't ask for anything more. Top notch team with Kerry leading the charge and being an amazing client advocate. Nothing... they're rockstars!! Keep doing what you're doing! Keep on with the solution-based selling... a relaxed consultative approach works... All your reps need to learn from Kerry. Communicating our new product and solution.... MultiView is helping me reach my targets and gain me valuable visibility. "Great Customer Service from Lauren Kubena"
I like working with Lauren Kubena my sales rep from MultiView. She provides great customer service and is always very speedy in answering my questions and requests. That so many different sales reps call me from MultiView for different ad campaigns. I like working with Lauren as she is not pressuring and has a grasp of my needs. The ad I am currently running helps generate brand awareness as well as leads. "ARSA Dispatch and Website Banner Advertising"
Communication - responsive to questions, always a prompt response. Any issues are quickly resolved. Initially, there was confusion over who to contact for a given advertising venue. This has since been corrected by placing all of our ad campaigns under a single consultant and a single point of contact for art submittals. My primary focus is on brand exposure and customer reinforcement. The ARSA ad venues target our key market segment. Multiview has been very reliable in their work. I am able to count on them to be on time with great curated material. I wouldn't have anything negative to say about Multiview other than I wish There were photos in the newsletter. They are a reliable service provider get the job done well. Ryan Cuffee took the time to understand the business segment we are engaged in. He understood we work with a very select market so our needs are very specific. Chuck Broderson and his creative team developed a very professional looking ad we will utilize for impressions. It is too soon to list any dislikes as we have just started our campaign. Take the time to discuss your goals for the campaign and to explain the type of customers/industries you are trying to attract. Again we are at the beginning of our contract, so it is too soon to address the problems solved or the benefits realized. MultiView's staff are quick to respond to my messages and implement any changes I would like when I proof the NewsWatch every week. I rarely have to ask for changes since they do such a great job. I cannot think of any cause to complain. Prompt responses from staff. Follow through and always do what they say they will do. Nothing, everything they provide is satisfactory. Get started now, don't wait. Website advertising a a great weekly enews. The weekly enews get a lot of attention and get the info out to school counselors. Clarity of offerings. They make B2B retargeting easy to understand. A few too many calls from too many MultiView sales professionals. Try to get a single point of contact, otherwise, MultiView can be a bit overwhelming with the number of AEs calling from various parts of their company. "Great Experience Working with MultiView"
MultiView puts together our News Brief each week and we get constant support from our members about this publication. The content is always timely, interesting and industry-specific. The representatives assigned to our account are knowledgeable, professional and very organized! Happy to be working with MultiView. Not a thing. We have really enjoyed our experiences. We needed fresh communications to go to our members to keep them informed, but don't have the staff to commit to this project. The News Briefs are a great solution for us. Plus, they've become a great source of non-dues income. "Great Staff and Great Product. " The staff is easy to work with and has a very high level of expertise. They continually look to improve their product and tailor it to your needs. With very little direction they can take an idea and execute it into a full campaign. Running weekly reports from the dashboard for our sales force can be a challenge with out a "download PDF" option. The monthly reporting is great and easy to digest. Our goal in the campaign is to increase lead generation. The awareness from the campaign has helped us prospect and make progress on achieving our goal. "Multiview helped connect me to NSTA Advertizing"
I had a good experience with Multiview connecting me to the advertising options on the NSTA Website. It was a cold call, but Hailey got to the core of what they could do for us very quickly and professionally. We rarely advertise, but she walked me through the site and I liked what they were doing and signed on. I did not experience anything to criticize about Multiview to date. We are trying to connect teachers to our science resources online. It's too soon to tell how the advertising campaign will benefit my company, but we are hopeful. I was getting several calls and emails from different departments of multiview. Jason handled that for me so I only dealt with him so I stayed organized on my advertising. The MultiView team is grade A - always ready and able to help quickly and always prompt in responses. Shout out to Julie Bernhard for all of her consistent, hard work. MultiView has made the process of curating and publishing a weekly newsletter to members relatively easy and seamless. "Excellent products and exceptional service"
I think the online portal is super-easy to navigate to see results on our campaigns. Cameron, our Programmatic Solutions Expert, is always super-responsive with requests for reports and other questions. Whenever I request a change to our program through the online portal, I hear back within a short time from someone at Multiview who is making the changes. I don’t have any complaints about MultiView. MultiView has allowed us to reach a much broader audience that is already seeking our services. We’ve increased our brand awareness/recognition and driven more traffic to our website. A partner who can monitor and create targeted content, freeing up staff. We've recently seen a drop off in advertising revenues, but we are working with the business development team to create new leads. Mike has been great to work with. Very responsive. He has explained the product well and has offered explanations of further options. The costs of the different programs go up exponentially. The HD almost feels like "entry level" and we wont get a true benefit unless we explore true targeted marketing which is far more of a budget hit. Driving brand awareness. Driving traffic to website. Driving website conversions. "Maragret Lee and MultiView Support"
Margaret Lee is untiring in her efforts. She helps keep our own goals in front of us, with potential; solutions. Nothing to dislike. Margaret Lee and MultiView are only ever helpful and polite. We have worked with MultiView for several years now for e-newsletter advertising. My account rep, Everett has always been very responsive to my needs even following up from the beach while on vacation in Mexico! The type of advertising we purchase through MultiView requires us to make commitments further out than I would prefer. Not something that MultiView controls though. Working with MultiView allows us to target specific industry trade groups with our marketing efforts which saves us money by honing in on the right audience. "We love the NPF Brief that Multiview manages on our behalf. Great way to connect with our audiences"
I like the way the brief allows the NPF to expand on the different elements of our the Forum. It also provides relevant and up to date articles from the mailing and shipping industry. Working with a professional such as Julie Bernhard is pleasant and make my job easy. Nothing really! Our revenue has decreased but that is due to the industry that we are working in. I love my relationship with Sr. Marketing Consultant Casey Lagesse! When I see Multiview calling, it is always a pleasure to answer the phone and speak with her! She represents Multiview well and they are very lucky to have such hardworking and dedicated team members like her! Price is always something that could be worked on.. but overall we are happy with the product and it is true, you get what you pay for! Online advertising and bringing our product in front of interested customers! Reliable consistent contact with diverse knowledge of Industry information and pleasant people to deal with. Chris has been not only very professional but personable. He has been my marketing consultant for many years and when there was a change I requested him again. Chris is patient with questions and concerns and very pleasant to talk to. At this time I have nothing to report. My experience with Multiview has been good. Strongly suggest that look into Multiview as an option. Looking for the correct headings and key words for my company's listing to maximize word searches. The folks that we deal with are exceptional. We work weekly with Hailey Golden on our weekly newsletter and she is amazing. nothing to complain about. always responsive. Working with Jeremy A. at Multiview is really what makes my score an 8. Having one person to keep all of my ad spaces in line and organized makes my job easier. I know when I get a call from Jeremy he's giving me updates on my ad performance suggesting new creative ideas and reminding me of the new ad spaces and technology Multiview has available. Not being able to purchase ad spaces for longer than 6 months. "Always Results in Great Customer Service!!!" The results and attention to detail are awesome and consistent. There is nothing to dislike. I habe always recieved fast and courteous reponses from Stuart Hoffman. "Chuck Hamby is an awesome representative"
I really do not dislike anything that has been shown to me to date. My experience in working with the team at Multiview has been excellent. They are knowledgeable, creative, and flexible. Honestly, I wish they offered more products beyond the great programmatic solutions I have had the pleasure to experience. While my solution is in the early stages of delivery, I am confident that I will realize a meaningful return on my investment in time and resources. The customer service is always excellent. There is nothing that I dislike about them. I deal with Dennis Hall. He is very responsive, cooperative, and willing to work with any issues that arise. He is also very willing to help me improve the content to our readers so that it aligns with the geospatial community. At this time I do not have anything I dislike. * We monitor all MultiView reviews to prevent fraudulent reviews and keep review quality high. We do not post reviews by company employees or direct competitors. Validated reviews require the user to submit a screenshot of the product containing their user ID, in order to verify a user is an actual user of the product. Hi there! Are you looking to implement a solution like MultiView?